Alan Austin is a Uniting Church member and former Crosslight journalist who lives in Nîmes in the south of France. He shares his reflections on the impact of terror in his adopted homeland. 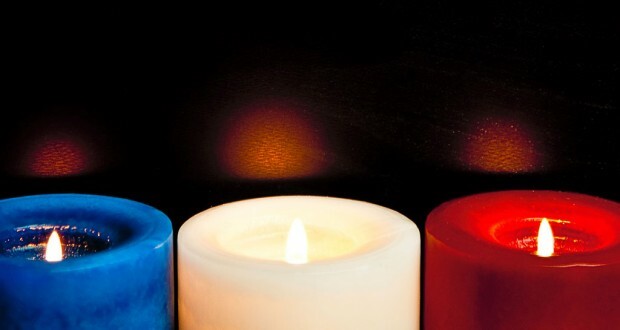 The message was rapidly shared among neighbours in our small village near Nîmes: we will place a candle—une bougie—in our window tonight to show notre solidarité. At that time there were no answers to the questions: what motivated such horrendous attacks overnight in Paris killing almost 130 people and injuring hundreds more? What could have or should have been done to prevent this? What can now be done in response? Late that night my wife and I walked through our village to see the candles and share the mourning across the nation. A neighbouring couple—whose children lived in Paris—had multiple candles in every window. As this is written, four days later, there are still no answers. Plenty have been offered, of course. For some, this is proof that military spending must be increased, for others, that spending must be cut. To several, this demands closure of national borders to refugees from war zones such as Syria. To others, this requires renewed efforts to welcome and support those needing a safe haven and at risk of radicalisation if refused. Some have claimed this attack on an overtly secular nation with a strong Christian history is evidence of the hatred Islam has for secularism or Christianity. Others, including Stafford, our Anglican minister here in the Gard, reminded us the day after the massacres that “the events in Paris have also been the experience of Ankara, Istanbul, Lebanon, Syria and Pakistan in the last month”. Some are warning that religious fanatics prepared to die to bring about a worldwide caliphate are increasing in number and boldness. Others highlight the rapid condemnation of such action by Muslim leaders in Saudi Arabia, the UAE, Kuwait, Qatar, Iran, Iraq, Morocco and Egypt. Saudi Arabia’s foreign minister responded immediately with “our condolences to the government and people of France for the heinous terrorist attacks that took place yesterday which are in violation and contravention of all ethics, morals and religions”. the support of the entire world, including Australia, has been received and greatly appreciated. Everyone with a television in France saw footage of Sydney’s opera house lit with the tricolour, along with similar images of the Penshaw monument in England, New York’s One World trade centre and Rio de Janeiro’s statue of Christ the Redeemer. In our window three candles burned through Saturday night. One for the deceased, as is our local custom, biblical or not. One for the injured—some hundreds physically, thousands grieving for family and friends lost, and millions sharing in that suffering. And one for the leaders—of France, of other nations, of international agencies and of the religious communities—to whom we look for decisions which will take the world towards justice and peace.